Absolutely love it!! I love all of the different dimensions and textures! 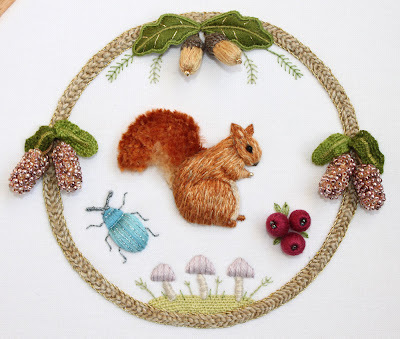 Having checked out those two links I will never think of stumpwork in the same way again, they are amazing! Thanks for sharing the link, it truly is lovely work. I do stumpwork, mine is more Australiana, you can see here on my blog, and find the tags 'Stumpwork'.